Is Your Spa Filter Clean? | The Spa Doctor Inc.
Is Your Spa Filter Clean? 1. A dirty filter restricts the water flow putting un-needed stress on your spa equipment. 2. Spa filtration is a key element in keeping your spa water clean and aids in keeping the water balanced. 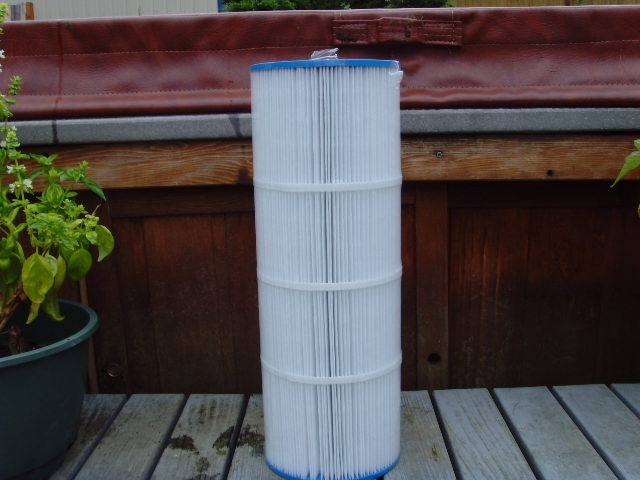 No matter how your filter “looks” it should be replaced every year and more frequently under heavy spa usage, or if filter has not been maintained. 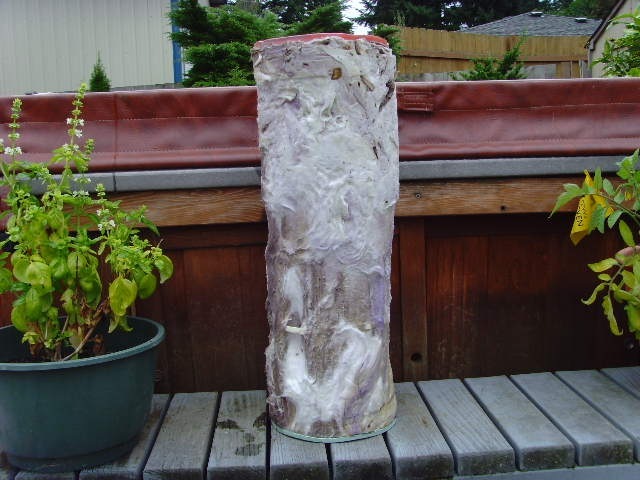 The Spa Doctor recently replaced a filter that looked like this! 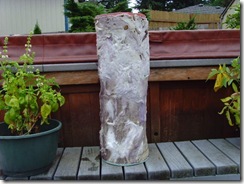 The filter is made of a fibrous material. And over time this material breaks down and allows larger particles and debris to pass through which can cause havoc on your plumbing and equipment. 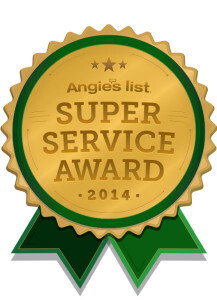 Repairing plumbing and equipment is more costly than an annual expense of replacing a filter. This customer now has a nice, new spa filter that looks like this! 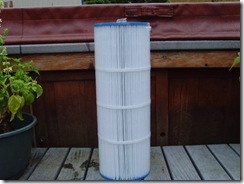 If your filter is less than a year old and you can’t get it clean – i.e. does it look clean to you? Then put in a new one. 3. Check to see if the end caps are cracked, brittle, or discolored. Replacing a spa filter is one of the very basic and easiest things to do to keep your spa in great working order. Good filtration is very important to the maintenance of your hot tub and ongoing enjoyment. Unsure if your filter needs to be changed? Call The Spa Doctor today and we would be happy to discuss our drain and detail or monthly services that will keep your spa filter clean, water balanced and spa equipment in good running order.